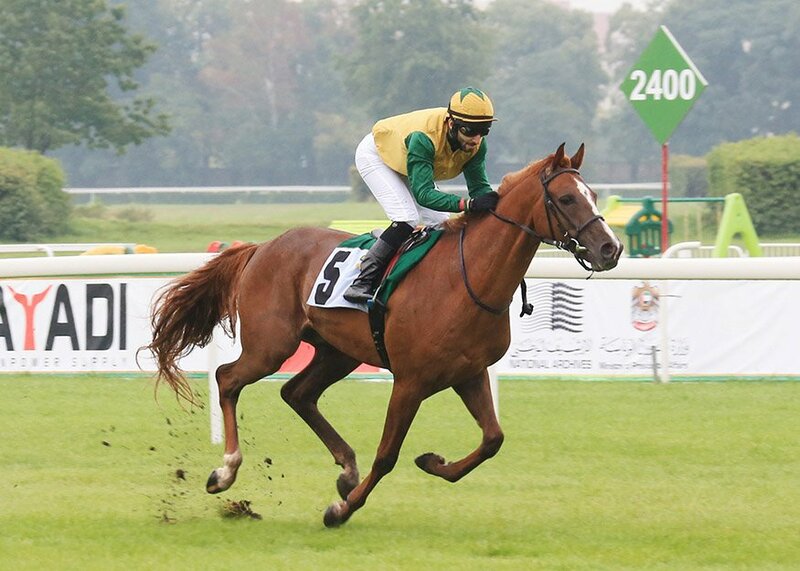 22 August 2016, Warsaw, Poland ~ Tomas Lukasek saw victory on Tefkir after pushing favorite Ziyadd to second place in the Polish leg of the HH Sheikh Mansoor Bin Zayed Al Nahyan Global Arabian Horse Flat Racing Festival’s Sheikh Zayed Bin Sultan Al Nahyan Cup (Group 3) race at the Sluzewiec race course in Warsaw, Poland, on Sunday, 21 August. Earlier there was a cheer for the Gulf region when Bahrain’s Ali Al Shuwaikh on Eastway won the HH Sheikha Fatima Bint Mubarak Apprentice World Championship (IFAHR) series. 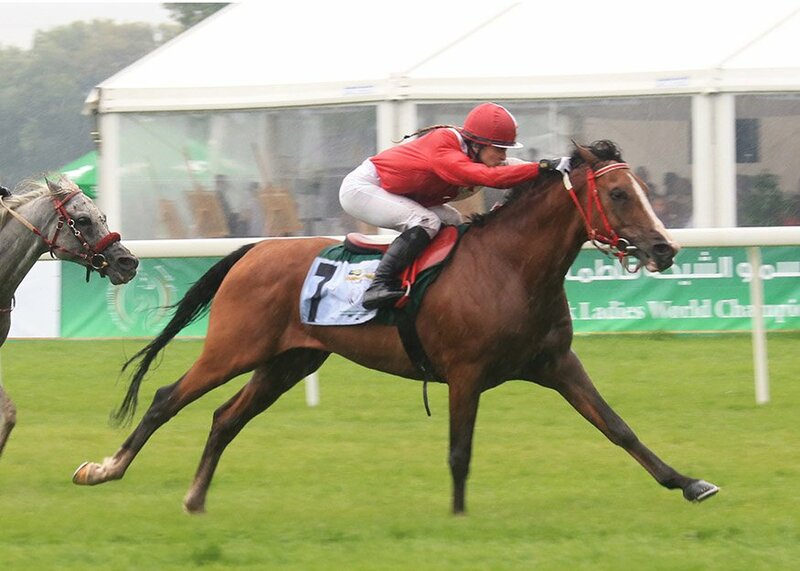 Not daunted by the wet conditions, the Polish fans rejoiced as their home country rider, Joanna Wyrzyk won on Cepton to clinch the final berth to qualify for the HH Sheikha Fatima Bint Mubarak Ladies World Championship (IFAHR) 2016 series final to be held in November. All eyes were on Ziyadd,owned by HH Sheikh Mansoor Bin Zayed Al Nahyan, but after jockey Pierantonio Convertino kept the recent European Triple Crown winner at the rear for most part of the race, and despite a great effort in the final two furlongs they could not match the stamina of the 4-year-old Tefkir under Lukasek. “It was a very tough race and some very good horses were in the line-up. But I fancied my chance and I always ride to win. This is so exciting and I am looking forward to make a trip the Abu Dhabi,” said the Czech-based Lukasek. Soon after he received his trophy he was invited to be part of the 13 November finale of the Festival by Ms Lara Sawaya, Executive Director of the HH Sheikh Mansoor Bin Zayed Al Nahyan Global Arabian Horse Flat Racing Festival, Chairperson of the International Federation of Horse Racing Academies (IFHRA), Chairperson of Ladies & Apprentice Racing Committees in the International Federation of Arabian Horse Racing Authorities (IFAHR). 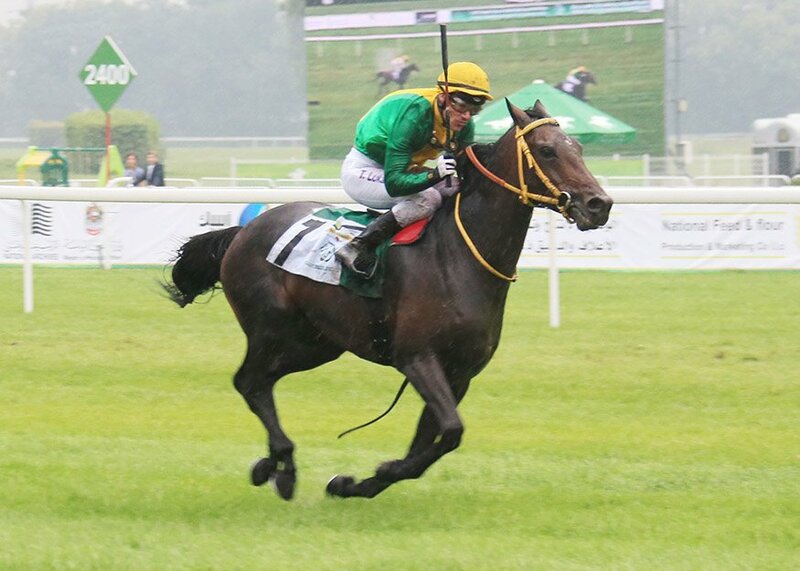 Earlier, the Polish fans were delighted when Joanna Wyrzyk on Cepton did very well to finish ahead of Norwegian Hagelund Holm on Dar Dunia, while American jockey Erika Taylor on LB Naj finished third. “I have been in Abu Dhabi before but not as a participating jockey so in November I will try and do my best to do well for my country in the Championship finale,” said the 19-year-old Wyrzyk. “It has been an amazing ride and an equally amazing experience to compete with lady jockeys from around the world,” the Polish winner said. Bahrain’s 29-year-old Apprentice Ali Al Shuwaikh was a rather comfortable winner on Eastway while Scottish jockey Rowan Scott finished second on Inextremo. It was Al Shuwaikh’s 31st win in 438 starts and he will take on fellow qualifiers in the HH Sheikha Fatima Bint Mubarak Apprentice World Championship (IFAHR) series, also to be held on 13 November in Abu Dhabi. 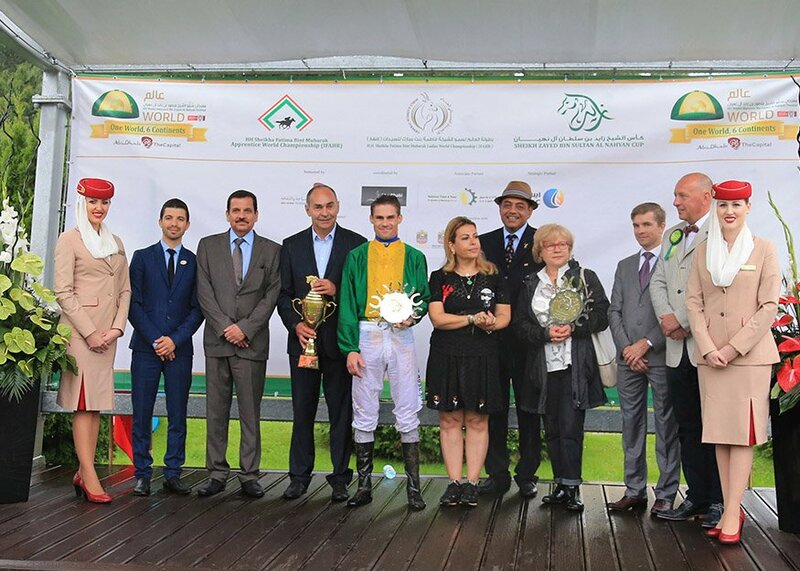 HE Yousif Isa Hassan Al Sabri, UAE Ambassador to Poland along with Ms Lara Sawaya and other guests gave away the trophies to the winners of the three races.